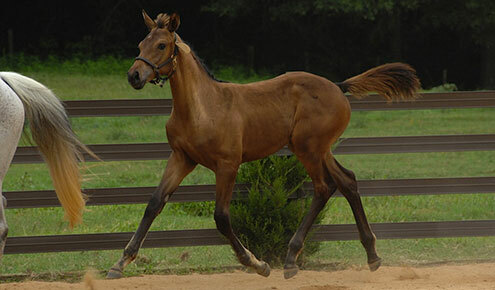 A Cor de la Bryere son out of a Capitol I mare. 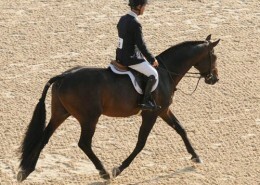 An ideal image for the Wikipedia definition of “sporthorse” would be that of Holsteiner stallion Crown Affair. 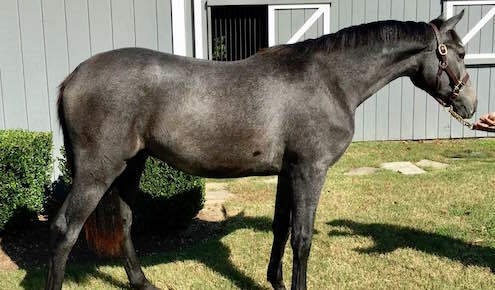 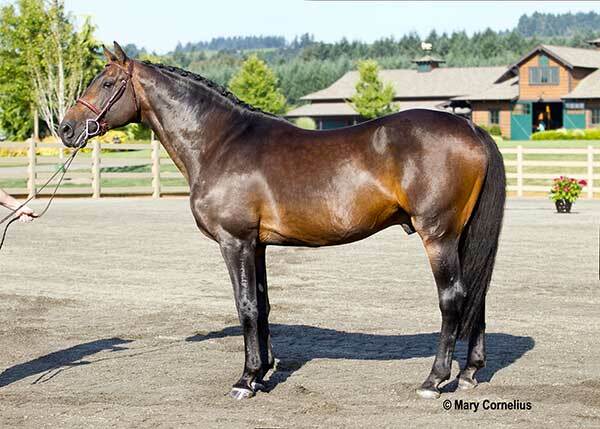 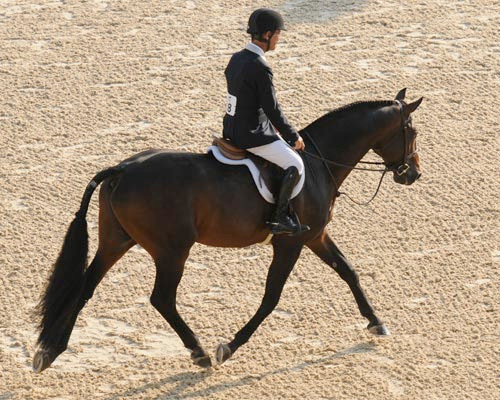 A horse bred for the traditional Olympic equestrian sporting events of dressage, eventing and show jumping, the striking bay, 16.3 hand stallion competed successfully in show jumping in Germany before he was imported to the United States in 1999. 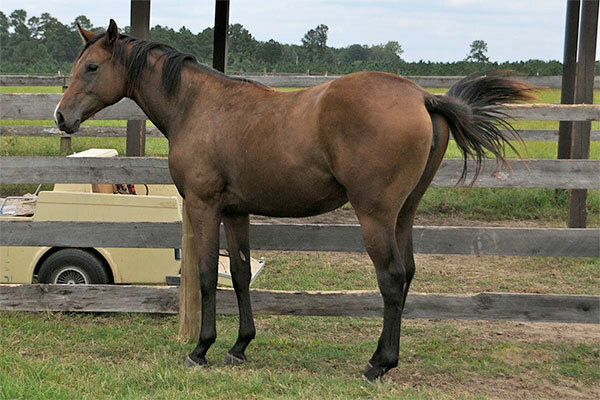 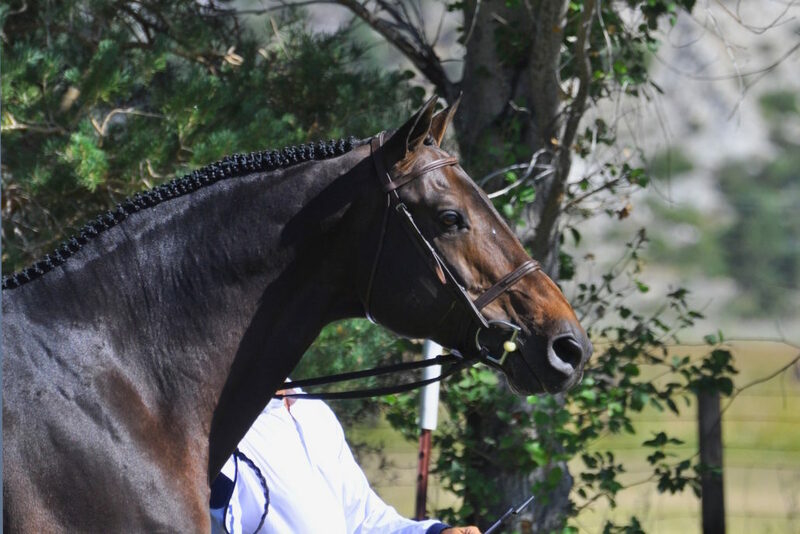 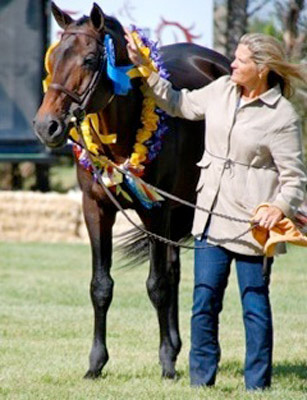 Crown Affair is nominated with the Performance Horse Registry (PHR), licensed with the American Holsteiner Horse Association (AHHA) and with the Oldenburg Gov. 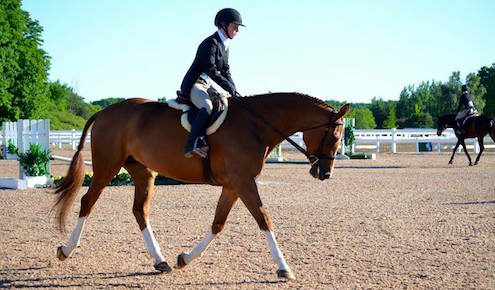 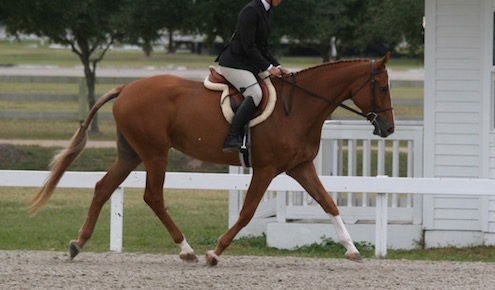 Before entering his eloquent hunter career, Crown Affair also excelled in eventing and dressage. 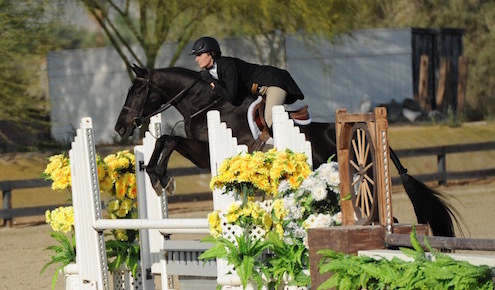 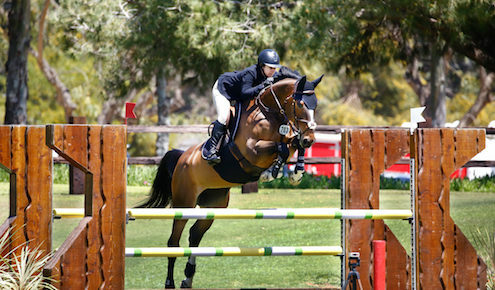 The steady stallion closed out his competitive career as one of the country’s most successful International Hunter Derby competitors. 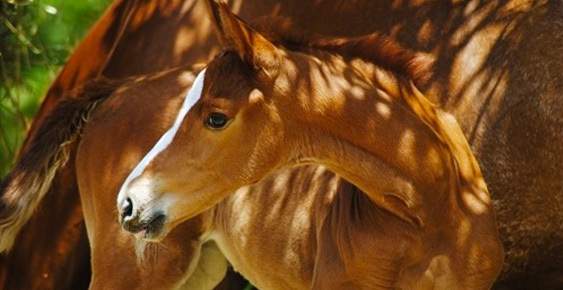 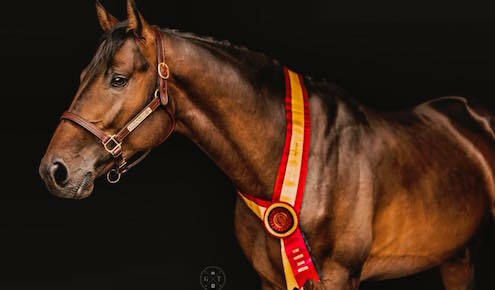 Crown Affair’s multi-discipline success is unusual, but it doesn’t surprise followers of sporthorse breeding bloodlines and results. 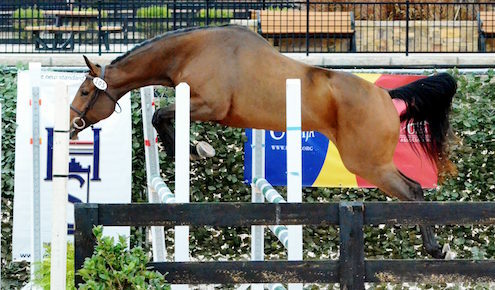 Crown’s sire is Cor de la Bryere, one of the world’s top show jumping stallions. 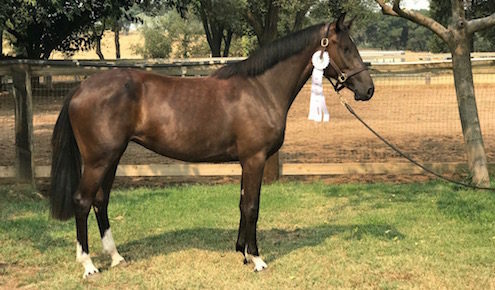 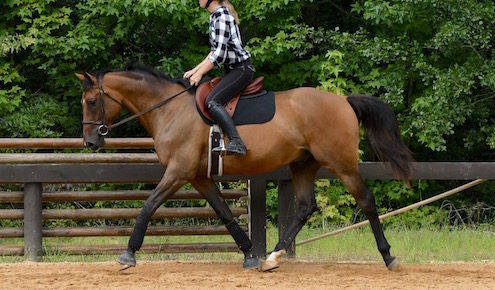 Crown Affair’s athletic abilities, jumping form, and correct conformation are mirror images of his sire—as are Crown’s easy-going temperament, work ethic, and desire to please. 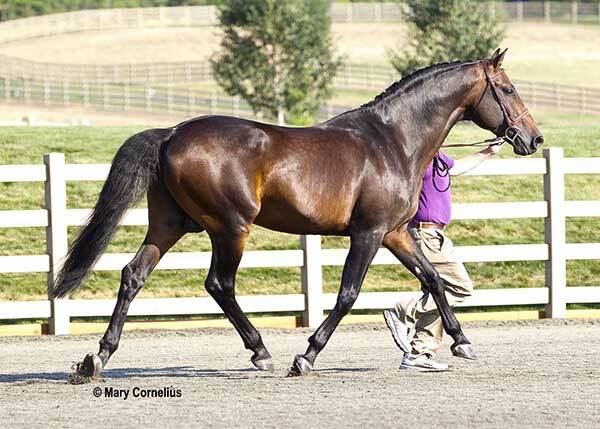 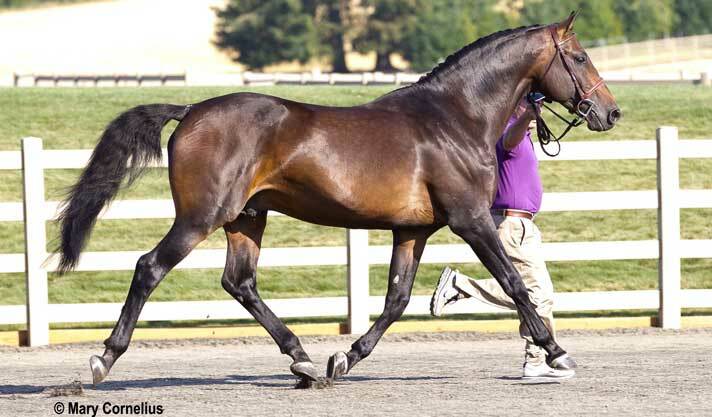 The American Holsteiner Horse Association approved stallion gets even more power and scope from his dam, Andante I. 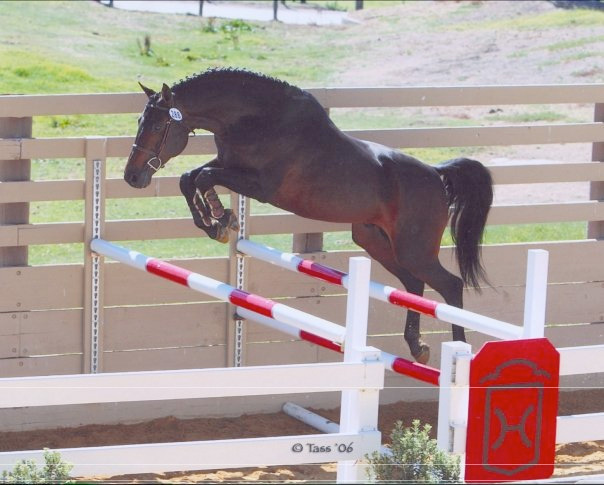 Her sire is Capitol 1, another of the most sought after jumping bloodlines in Europe, where sporthorse breeding is big business. 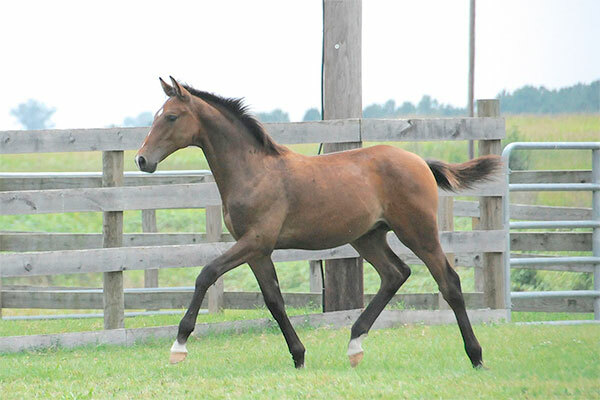 Crown Affair is one of the few direct Cor de la Bryère sons that are still alive. 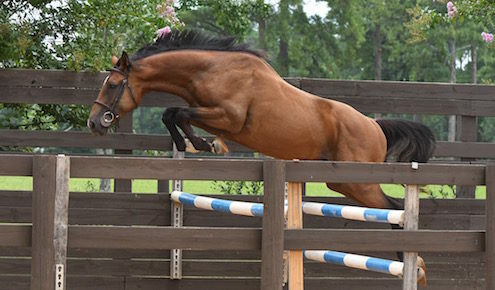 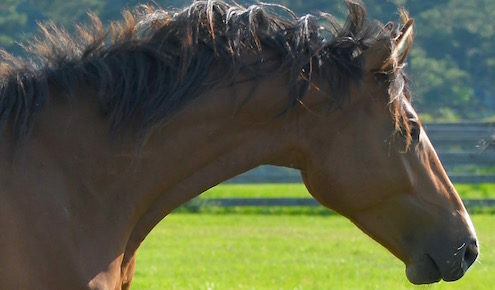 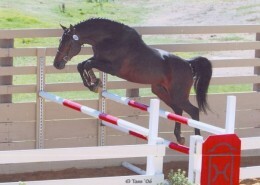 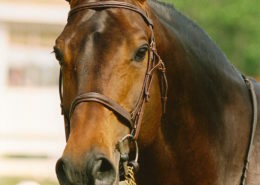 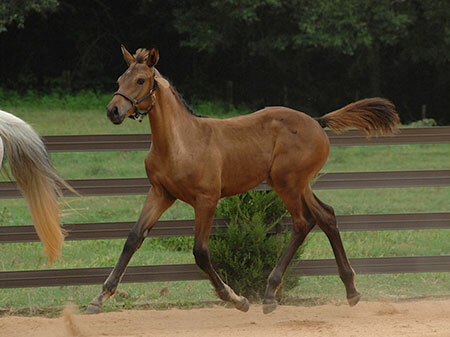 Breeders described Cor de la Bryère as a “gift from heaven.” He has been especially successful producing jumping horses, as he passes on his incredible bascule, scope, and jumping technique. 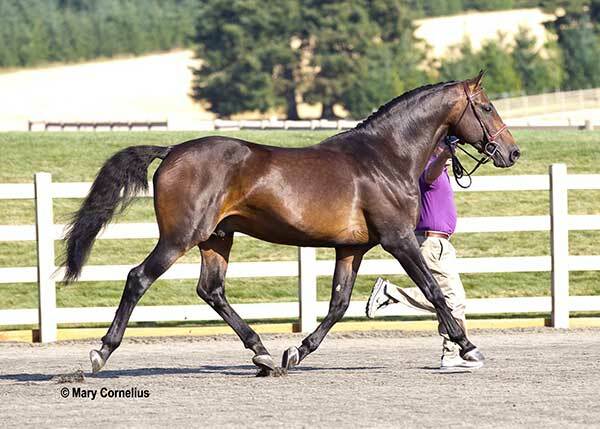 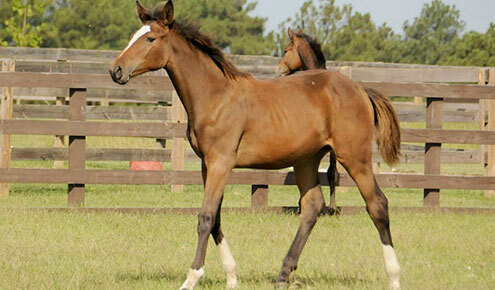 In Germany, he has produced 57 approved stallions and 188 offspring jumped at 1.40m and higher. 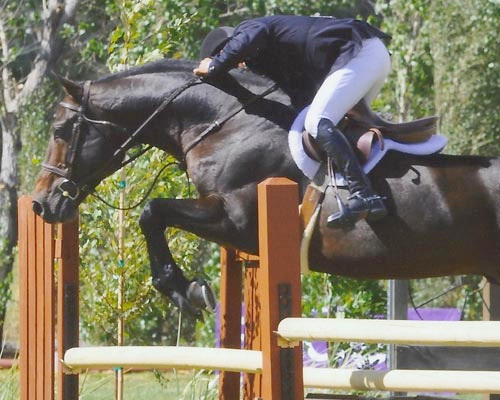 These offspring have gone on to win 3,270,846.00 €. 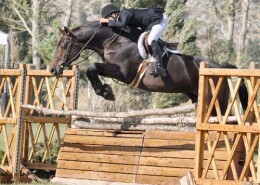 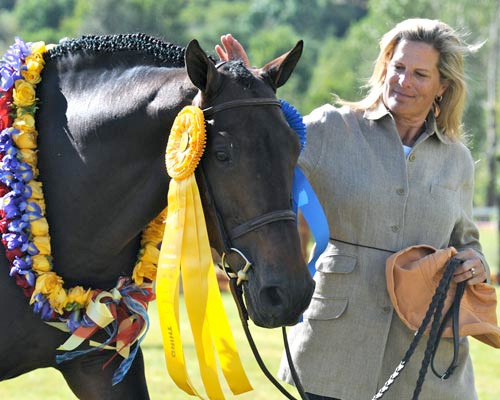 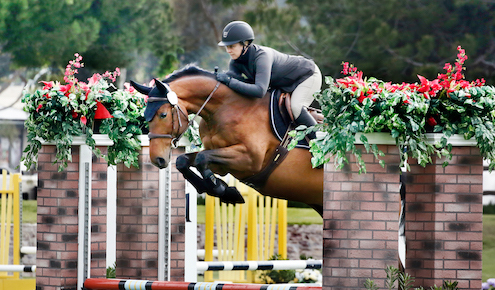 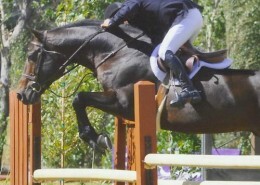 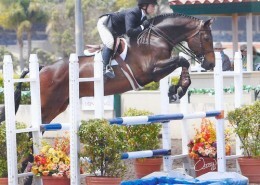 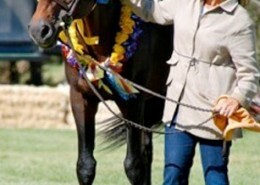 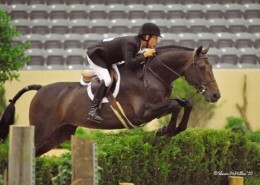 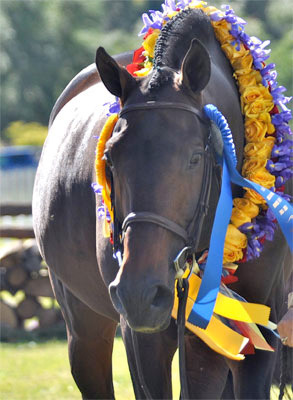 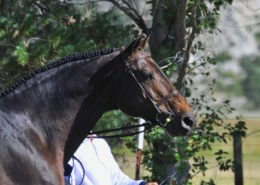 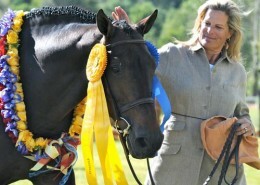 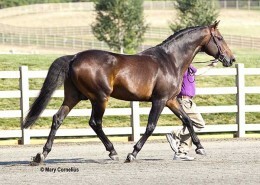 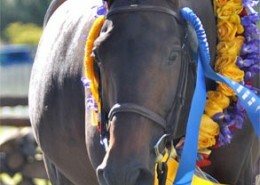 Crown Affair had a very successful career as a hunter with professional rider John French and amateur owner Gail Morey. 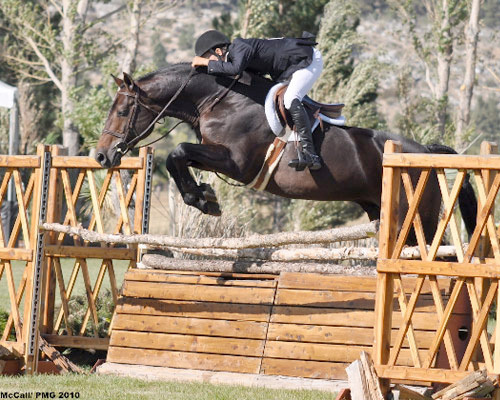 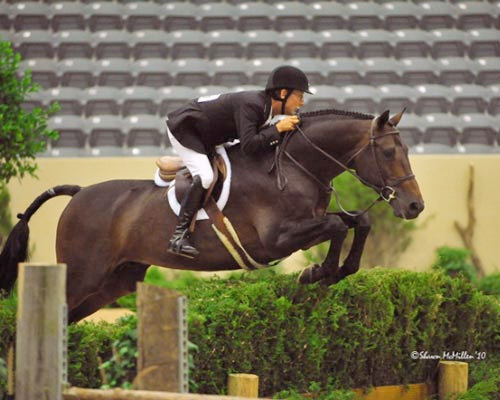 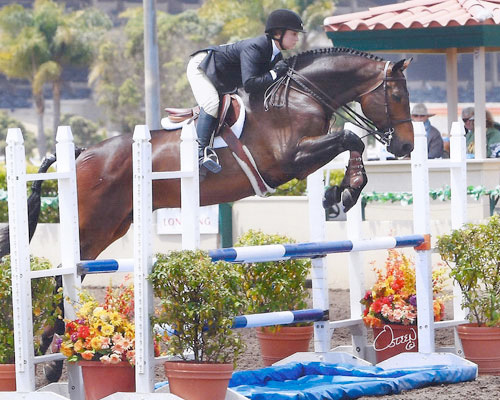 With John French, he won the $10,000 Chronicle Of The Horse/USHJA International Hunter Derby Over All and the $10,000 USHJA International Hunter Derby (Final Rd). 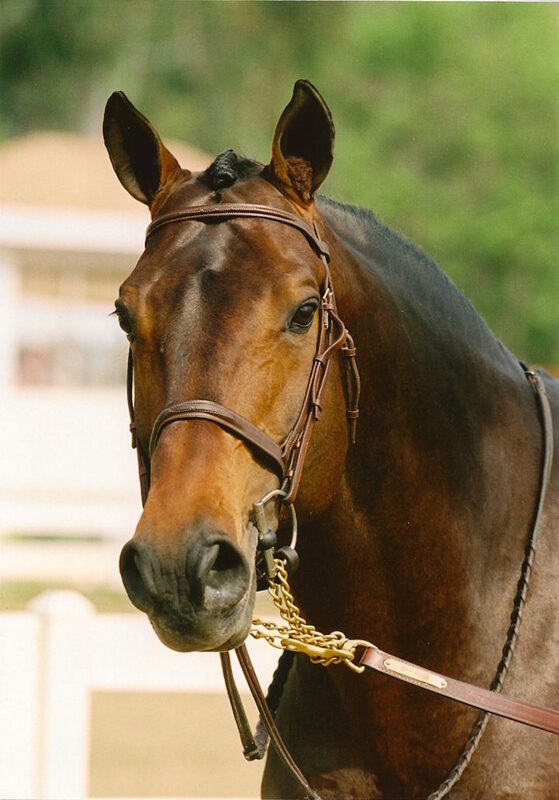 His mother Andante I (by Capitol I) produced: the Prix St. George dressage horse Chamberlain (by Calypso I); Catalina del Pierre (by Calido I) who jumped 1.40m with Günter Treiber; and La Capitol (by Lavall I) who competed at 1.40m with Christoph Gaillinger. 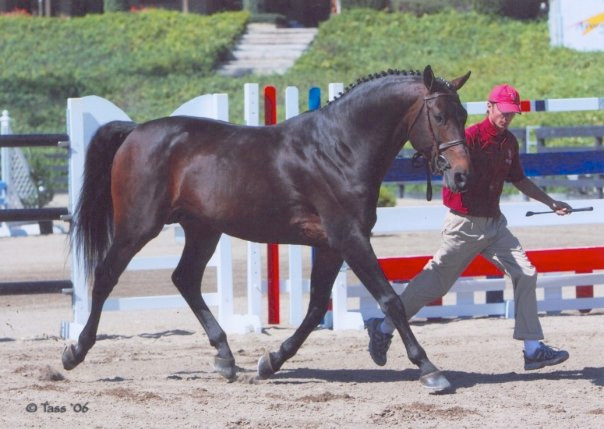 His grandmother Iris S (by Metellus) produced the 1.40m jumping horse Atlas (by Athlet Z), under Ulrich Trettenbacher, and the Bayern approved stallion Alasco Bavaria (by Alasca). 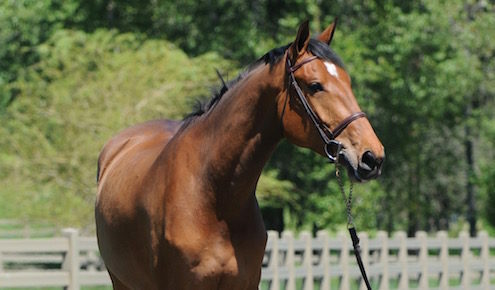 From this brand also comes also the 1.45m jumping horse Sasu 7 (by Calido I), who was campaigned by Evi Bengtsson.